As 2010 winds down, I was looking in my \\SERVER\Photos\2000 folder and reminiscing about how old and fat I am and how young and thin my wife is, when I noticed how different the folder sizes were. I noticed the sizes of the photos, their pixel sizes and the camera that created them. Here's some observations, calculations and comments from a guy who has 12 years of family life in digital form. I'm curious of your observations of your own media as well, Dear Reader. 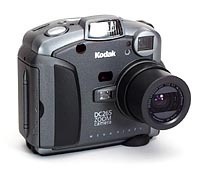 I started with a Kodak DC265 Camera. This camera used Compact Flash cards and created JPG files at 1536x1024 (1.5 megapixels!) that were an average of 300k in size. I took a massive 263 megs of photos in 1999. Here's an example shot from that camera, un-retouched. Click for full size. 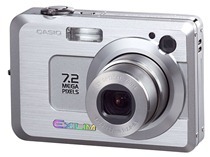 I used this camera until June 22nd, 2003 (according to the EXIF data embedded in my photos) when I got a Casio EX-Z3. My very first picture with this camera was of my wife across the camera at me. It was numbered CIMG0001.JPG ;) and it was 2048x1536 and a whopping full megabyte in size. 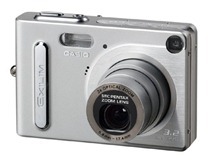 This was a 3.2 megapixel camera. 2003 was the first year my yearly photo folder nearly reached a gig in size. My first son was born at the end of 2005 and I upgraded to a Casio Exilim EX-Z750 (I like small pocket cameras) to take pics of him. 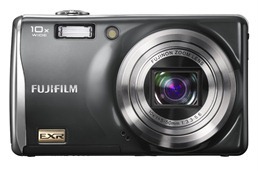 The EX-Z750 was 7.2 megapixels and created pictures that were 3072x2304 and about 3 megs in size. I remember being blown away by this camera. 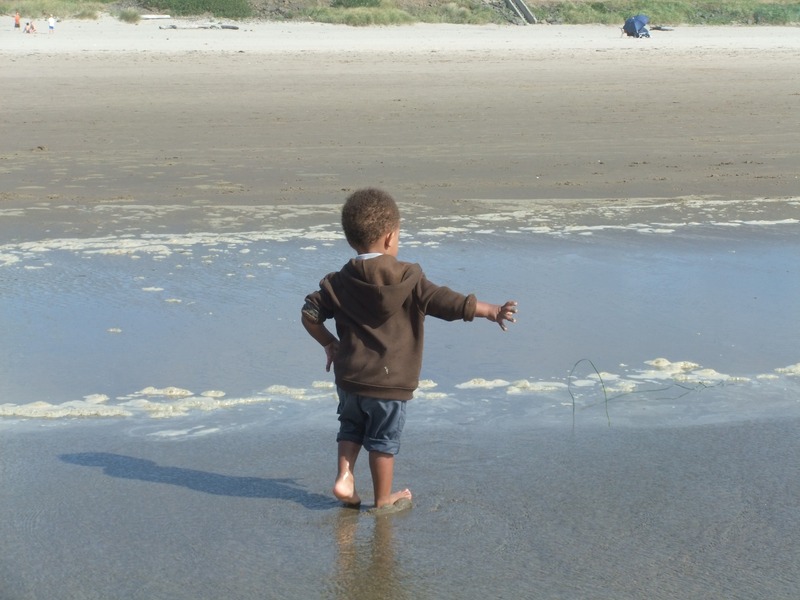 The number of photos I took in my son's first year nearly doubled the previous year and the 2006 folder alone is almost 10gigs. 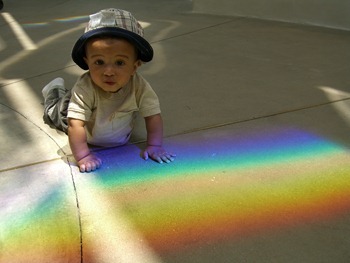 As they say about babies, the first baby gets a million photos (or at least two thousand) and the second baby gets less. In fact, the year of baby #2 created over three thousand photos and that number goes up every year. In 2008, I bought two cameras. 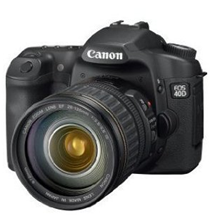 First, a Canon EOS D40 in an attempt to "get serious" about photography. Two years later I still don't know how to make those cool photos where the person is in focus and everything else is blurry. Sigh. The canon creates about 2-3 meg JPEG files (or RAW if you insist) that about are about 3008x2000. It's the best camera I've owned when I can get things in focus. I wish it was faster and that it was in my pocket. 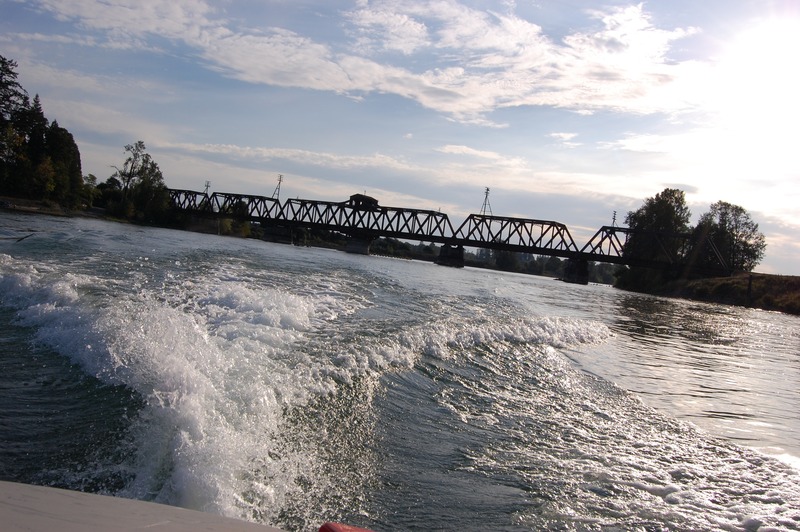 Here's an example shot from a speedboat (for no other reason than speedboats are cool) using the Canon D40, un-retouched. Click for full size. Second, a Fuji Finepix F70EXR which I regret buying. It's a 10 megapixel and is the smalled 10x optical zoom (that I never use) and makes photos of 3616x2712 that are about 4 megs each. However, it has horrific low-light support (as do most point-and-shoots) and it's grainy as heck. It's a mess. I intend to replace it with a Canon PowerShot S95 as soon as my wife "releases the funds." Here's a shot from the Fuji. Click for full size. In 2010 I collected over 6500 photos totaling 20gigs. I am not a photographer or a photography enthusiast. I'm just a dude with a good lookin' family that I like to take pictures of. Three good quality cameras were available at any time. The iPhone 4 has a great little 5 megapixel camera. Having this in my pocket (or any phone with a 5Mb camera) meant I took more pictures in the moment. The Eye-Fi Wi-Fi SD Card in my Fuji Finepix F70EXR meant that digital photos showed up on my server as soon as the camera got within my home's wireless cloud. The #1 most significant purchase for me photography-wise in 2010 was an Eye-Fi Pro Wi-Fi SD Card. It removed the "go download the photos to computer step." No joke, this card is amazing. You take photos and whenever the card is in range of wi-fi it'll geo-tag your photos and drop them in a folder. The wife is bananas over this card. Read (watch) my review. I'm creating more media year over year. This post doesn't touch on video, but let's just say that I captured my FIRST digital video file on June 23rd, 2003. It was one megabyte, about 320x240 at 15fps. Today, everything I capture is 1280x720p at 30fps and I don't even think about file size. The only thing I think about is backups. Here's to a digital 2011! But what if add a new line to that graph which mentions the cost per GB ($/GB). I mean, yes the use of data has increased but disks have also gotten bigger and bigger. the only thing of note is the insane amount of increase in photos taken (50% in the last year). "Two years later I still don't know how to make those cool photos where the person is in focus and everything else is blurry. Sigh." I suspect you're kidding, with your tech acumen, but nevertheless........Set your 40D to Aperture Priority and pick the smallest number you can. If you have an average lens, this is probably around 3.5 to 4.0. To get the really cool stuff - that number needs to be 2.8 or smaller, but that means a fairly substantial lens. You can also get Picasa to fake it for you with their "soft focus" tool - but that is a cheap imitation. Good candidate for a PivotViewer collection, especially if the photos have EXIF information within. Great article, Scott. I'm still (after two years!) saving for a devoted file server with enough RAID that my life to date isn't lost due to one failure (again), but the wifi card certainly sounds great if I get a camera. Your kid has no business being so cute. I have been wanting to try the Eye-Fi Wi-Fi SD Card but heard it only worked half of the time. From your post, it sounds like it works pretty well for you. As TimB and Paul and others have said: Put your camera into Av (Aperture Priority) mode, then crank that value down to as low as it'll go. I would also recommend dropping the $100 needed on a Canon EF 50mm f1.8mm lens - also known as the 'nifty fifty'. It doesn't zoom, but the quality of images you'll get - especially if you switch to Aperture Priority Mode and wind down to the 1.8-2.8 range - are pretty nice. I've got tens of thousands of dollars worth of lenses now, but I'm still blown away by the quality of images people can pull out of this lens. Search on Flickr for this lens for examples of what the images it can produce are. Thank you for the information about the Eye-fi. Like your wife, my wife loves to take pictures but hates uploading to the computer so I'm gonna buy an Eye-fi sd card for her. I think the "download photos to pc" step is an important one, cos that's when I delete the crap photos. I hate when friends are showing me their photos and there's ten shots of the same thing. Pick the best shot and delete the rest please! I am really interested in the Geo-taging feature you described. If you are nowhere near a wifi during the photo-shoot, for example in the forest, remote beach etc, and later on drive to the city, does it get Geo tagged wrongly? What about Mozy or a similar backup-to-the-cloud service? @Scott H.: I'm about your age and have kids at similar ages to yours, and I suspect my photos-per-year and GB-per-year trends are pretty similar to yours as well. With that being said: What does one *do* with all of these tens of thousands of media? Back in the olden days (!) of 20 years ago, having to purchase film and the hassle of getting photos developed were limiting factors on the number of photos taken; consequently, at least in my case, I could look through my entire childhood's worth of photos in a single afternoon. Now those constraints are gone, and the obvious result is that we are generating way more content than before. I wonder if my kids are ever going to look at all of these photos and movies that my wife and I are taking of them, given that it would take days and days to get through them all? If I remember correctly from the relevant Hanselminutes episode, you have a Nikon D40 not a Canon EOS 40D. Also the Nikon D40 is 6M pixels, while the Canon 40D is 10M. I just ran through my 11 years of stored photo's/video from a non-DSLR camera. It started with a KODAK DC240 and three cameras later, I'm on a Panasonic Lumix DMC-ZS6. First year I had 127 files (57 Mb), and this year 6936 files (59.5 Gb). 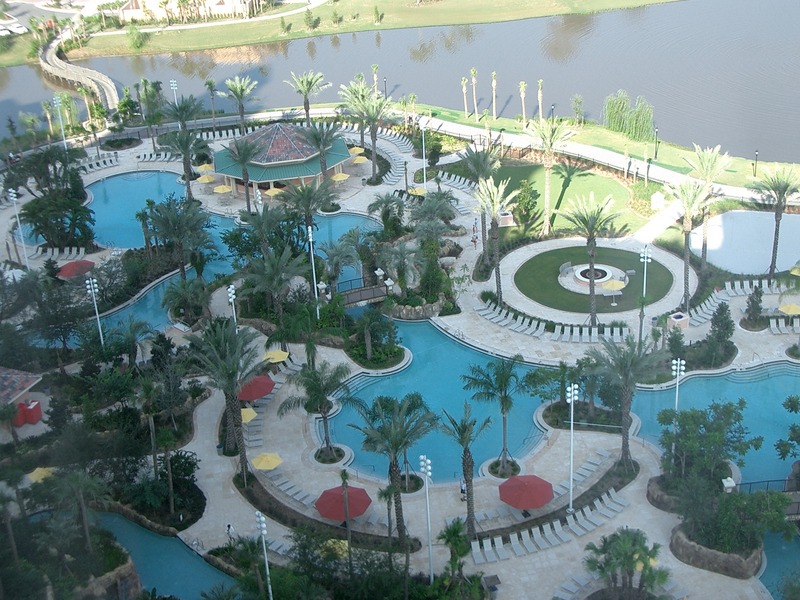 The biggest change was our increase in travel and my recording HD Video on the same device that I take pictures. Since you have a Canon, might I suggest getting the Canon 50mm f/1.4 lens (around $350 at Amazon). That will get you the short depth of field you'd like, by using aperture priority mode at f/1.4. It takes a lot of practice though, and sometimes you actually have to choose which eye is in sharp focus! The f/1.8 version is cheaper, though obviously the depth of field is a little wider. I had my first baby this year, and with the crushing file size of Canon 7D photos (18 million pixels, often 20 MB or more EACH for raw photos, great for non-destructive exposure adjustments), my S3 account is getting really expensive for backup. I can't backup video online at all... it's just too much data to be cost effective right now. You'll love the Canon S95... it's surprisingly awesome. The video quality isn't great (virtually no manual control), but the stills are striking. First point-and-shoot I've ever had that really satisfied me. Oh... example of the 50mm f/1.4 here. 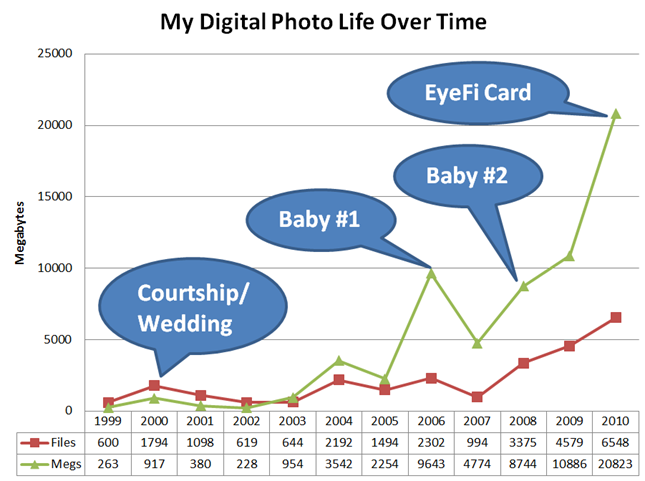 Yes... See how the pictures & data grew over time.. No family small data.. married with child data grew.. most important those picture tell your life & your son will see how much you care about them. Ask John Lam about that blurry effect. To get it right, it takes a certain type of lens. However, there's the poor man's way that gets you a decent effect. If you have a zoom digital SLR (your Canon will probably be fine), step away from the subject and use full zoom to bring the subject close. That helps pull the subject away from the background. If you have the 40D, you have what is known as a "crop body", and lenses act longer than they do on a full frame 35mm camera, and the classic 50mm lens becomes an almost perfect portrait lens (I prefer a TAD longer, but), and as a bunch of folks have said, the 50mm 1.8 is a SUPER lens, probably the biggest bargin in the Canon lineup (at $100, the 1.4 is also a great lens, but at more than 3x the price). IF you want to buy a great ZOOM lens for all around use on a crop body, and are willing to spend BUCKS, buy the 24-70 F2.8L lens - don't gag at the nearly $1300 price tag, or the weight (it's heavy). There is a reason that a lot of pros call this lens "the money maker"
KG2V: The length of the lens does not need to be long to achieve shallow DOF. Yes, a long lens zoomed in all the way will appear to do that, but if you put stuff immediately in front and behind the subject, they'll likely be in focus. It still comes down to the aperture of the lens. Like I said, the 50mm lenses that open up to f/1.8 or f/1.4 will do this with you standing in front of the subject. I stopped organizing my photos by month-year since the software will do all of that for you now automatically. I'm not going to suggest my chaotic method of organization be adopted by anyone other than me, but I have found that the tools in the photo organizing software work well to weed out the rejects (ratings), organize by people (tagging), and sort chronologically (EXIF date). It doesn't work as well for this sort of analysis, though. Excellent post. I imagine we'll all be talking about the size of our home video collections 10 years from now. find entry where you say it will be posted! I think the most important point you made was towards the end, the availability of good cameras at anytime. Having a camera on my phone (or hopefully iPod Touch soon 8^D) makes it easy to do a "quick snap" of the hike with my kids, the cool cloud formation I just saw, or that random family moment we're having on the road. 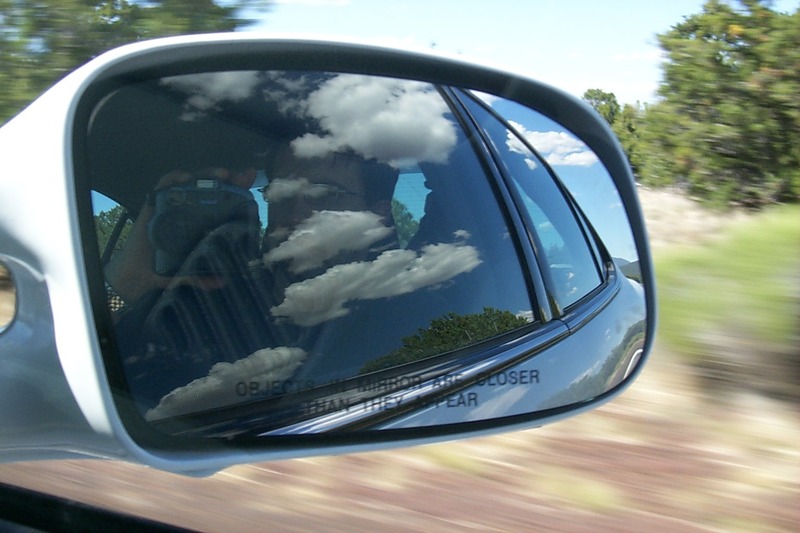 For a while my wife and I debated about keeping a disposable camera in our glove box for just such things, but now technology doesn't require that. I'll agree that the quality on most of my "quick shots" is horrid, but the more important aspect is documenting the moment, in which case having the small/portable cameras becomes key. James Myatt - You are correct! I get those cameras confused. Thanks! Jon Schneider - We watch them as slide shows with family all the time from the Xbox 360.